Long time no talk, eh? There’s a few updates to come from me — but that is for another post. 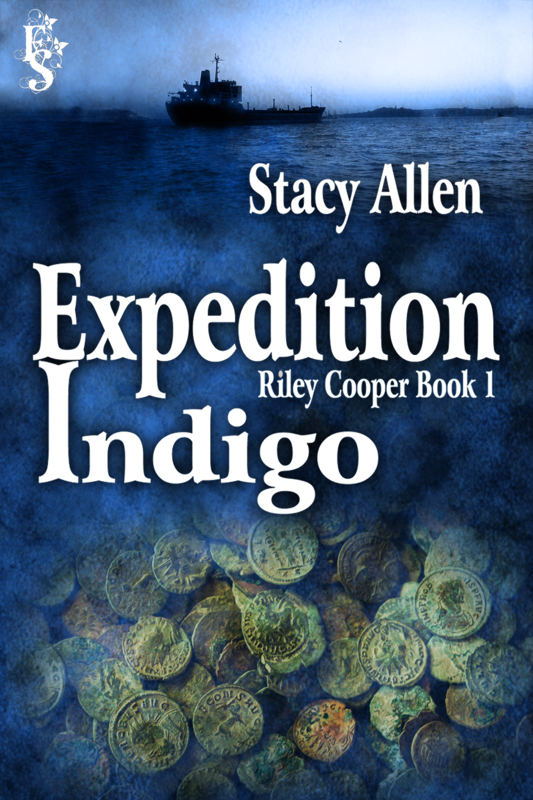 Right now, I’m thrilled to be a part of the cover reveal for Stacy Allen’s upcoming novel EXPEDITION INDIGO. Archaeologist Riley Cooper is offered the chance of a lifetime: a chance to find the Crux Fidelis, the coronation cross of Charlemagne. Under Water Sea Adventures members believe they have found remains of the Indigo, a heavily laden cargo ship commissioned by Charlemagne and presumed lost on its maiden voyage off the coast of southern Italy in the early 800s. If Riley can find the cross, it will prove Charlemagne’s coronation as the First Holy Roman Emperor by Pope Leo III on Christmas Day had not been a spontaneous act, but rather a desperate political maneuver by a Pope in need of protection. When Riley joins UWSA off the coast of Sorrento, Italy, tensions and tempers fly as a competing team arrives in search of the treasure and an approaching hurricane gains strength and heads straight toward the dive site. And when one of the crew is murdered, Riley must find the strength to fight back and keep the treasure out of the other team’s hands. Awesome, right? Ready to see that cover? Here we go! Stacy’s passion for adventure has taken her to five continents to explore over fifty countries. Stacy also plays guitar and sings, when she isn’t traveling around the world in search of new locales and new stories. Stacy served on the Board of Trustees of the Pacific Northwest Writers Association, the Pacific Northwest Mystery Writers of America chapter, and currently serves as Vice President of the Southeast Mystery Writers of America (SEMWA) chapter. She lives in Georgia with her husband and a very large house cat named Valentino. Is admitting your first book isn’t THE ONE. Trust me, I’m still trying to come to terms with this realisation. It’s a hard one to come to, to put something you’ve loved so dearly into a drawer and decide you’ll pull it out again at some point… or maybe never again. I’ve sadly hit that point with my first second novel. The first was the easy one to put aside. It’s the book I wrote in high school and I found it again the last time I was home. I flipped through it, shuddered, and threw it in the back of my closet where it will never again see the light of day. I know it’s there and that’s enough. The fact is, we all have our “first” novel. The one we never admit we wrote, but, like all writing it was a learning experience. Then there came the second book. The one you pour your heart and soul into. For me? This is an idea that’s been running around my brain for the past ten or so years. It started in high school, I attempted part of it for NaNo one year… but it wasn’t until last year that I actually sat down and wrote it from start to finish. It went through edits. It went through more edits… and then it went out into the wide and scary world of agents. I have to say — it did well there. I got a LOT of rejections, but I did get a fair number of requests too. And while the agents who read it liked it, there was never that push to take it and me on as clients. Maybe it’s just not ready — or maybe the market isn’t ready. I’ll be damned if I know and I’ll drive myself crazy trying to figure it out. So, for now, my beloved manuscript is going to sit in the proverbial drawer on my harddrive. It’s a hard blow to take, especially when it’s something you’ve loved for so long. But… it happens, even to the best of us. Now, bring on novel number three. Here’s hoping it’s “the one”. However, in my hanging out at various writer boards, I’ve seen a lot of questions about copyright come up. I am planning on posting my paper on copyright law for everyone to take a look at, but I thought I’d also open it up to questions from you guys as well. If you have a question about copyright law, post it here, and I’ll do my best to answer it in the upcoming posts on the subject. And now the disclaimer: I am a non-practising attorney. Thus, anything I say on this blog in terms of copyright law is not supposed to constitute legal advice. It is merely my interpretation to help budding authors. If you’re really concerned about your rights as a creator, I suggest you get in contact with a lawyer. Also, for your protection and my own, I will not answer questions that relate to a particular event that is going on right now. IE, if you think someone is infringing your work, I won’t look into it. That’s not my place. BUT if you’d like to ask me hypothetical situations? I’d be more than happy to answer to the best of my ability. I’d just like to be able to help other writers out and try and explain something that is very, very complicated to the untrained eye. Needless to say, it’s been one amazing ride so far. Of course, it hasn’t been without its up and downs (often more downs than ups) but I’ve also learned so much. A year ago I didn’t know what ARCs and galleys were. I had only the vaguest understanding of how the publishing industry works. All I knew was a person wrote a book, found an agent, and that was it. Now I’ve learned SO much more. I’ve also cultivated amazing friendships after being down in the trenches for over a year. I have CPs who are amazing individuals and my writing is stronger because of them. I have contacts I never dreamed I’d make. Though this year has been one of the hardest in my life, I don’t think I’d change a thing. Now, as the next year rolls around, I’ll keep writing and keep querying. One year ends and the next begins with my fingers itching to start working on a new manuscript. Still a YA, but something with a paranormal bent. No, not vampires — but ghosts. I’m excited and I can’t wait to share this next book. Hopefully it’ll happen this year. 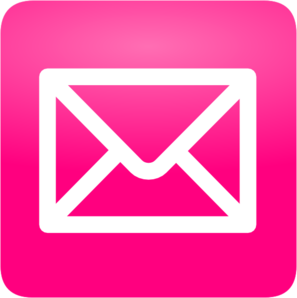 Hopefully one of those full requests that are still outstanding will come back to me and say they love it and they want to represent me as I go forward. And if not? I have a new book. Because one thing I’ve learned is the time you spend on one manuscript is never wasted. Every bit of reading and writing you do only makes you a better person and a better writer. As the West Wing teaches us to say: Game On and What’s Next? 1. Go to the seventh or seventy-seventh page of WIP. 3. Copy the seven sentences that follow and post them on your blog. 4. Tag seven other authors (on Twitter, Facebook, Tumblr–up to you!). So… here we go, from AVALON RISING. I chose the seventh page to give you a nice teaser from Chapter One. Seven years ago, she had stood six feet to the right of this plot of grass on the day they buried her mother. The landscape hadn’t changed much in the intervening years, though the trees were a bit taller and there were a more headstones dotted around. Gwen remembered that day being much the same as it was today: unseasonably cold with dark clouds hanging low in the sky, threatening rain at any moment. The bright flowers resting on the lid of her father’s casket stood out in contrast to the ominous backdrop. Gwen clasped her hands in front of her black patterned skirt, squeezing them as hard as she could. So there you have it!! Now, instead of tagging folks (as I know mosts of my friends have already been tagged), if you wind up doing this, I will link to you if you comment with your link! I’ve been working at the literary agency for about 8 weeks now, and I have to say I absolutely love every minute of the day. It’s a reminder that I’m happy as all get-out to be in the publishing industry and just hope I can get a good job when this internship is over! I challenge you this. If you’re having trouble figuring out your query/synopsis, pull a book down off the shelf — either one you know well or one you don’t. Read it again. (because if you’re not reading, you can’t write!) Then sit down and try to do the following: write a 35 word pitch, a query, and a synopsis. Then do it again for another book. And if you could use more practice? Do it again. Focus on the main character and the plot. What drives them forward? We do this all the time when we sit down to tell a friend why they OMG have to read this book. But when we go to write a query letter and impress an agent, it’s hard — mostly because we start second guessing ourselves. We want to make it shine and be that diamond in the slush pile. I say? Take a step back and work on the fundamentals and if you can easily summarize a story that belongs to someone else? It’s not so hard to do it to your own. Sure we want to include every miniscule plot detail, but that doesn’t work. I look at my new query and synopsis and I’m very, very happy with them both — but they also have been written after I started at the agency. Good luck and query on!